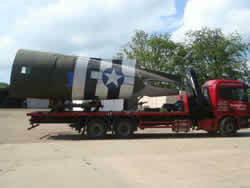 We specialise in the movement of abnormal loads. 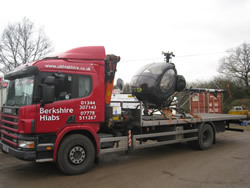 The definition of an abnormal load is a 'load that cannot without undue expense or risk of damage be divided into two or more loads for the purpose of being carried on a road'. Our Operations centre can arrange for notice to be given to the relevant police authorities as required for wide loads over 2.9m or long loads with more than 3m overhang from the bed. Our fully trained and experienced drivers can assist with the preparation of loads for transit advising on best lifting practise and transportation preparations to move even the most awkward loads. As a small dynamic company we pride ourselves in our flexibility and attention to detail.